Back by popular demand for the first time in years, The Countryman Press is pleased to reissue four Cape Cod mysteries featuring the witty and salty Asey Mayo, "A local handyman who knows something about police work and everything about everybody's business" (Marilyn Stasio, Mystery Alley). 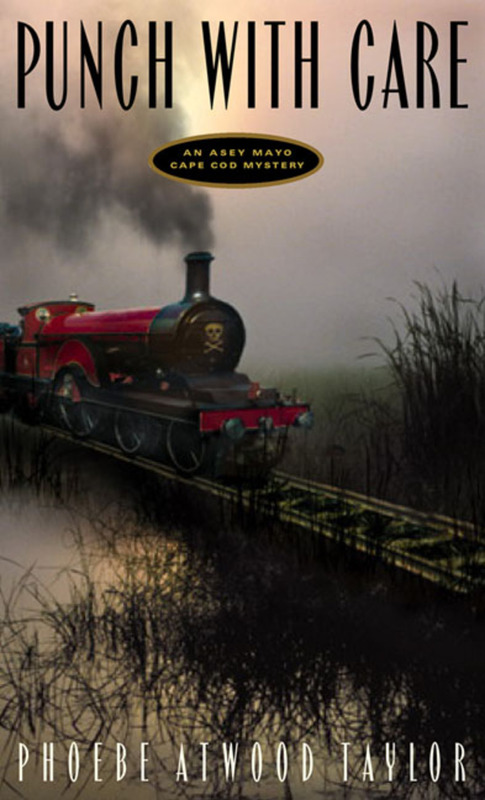 Set within the brooding landscape of Cape Code, these classic who-dunits are sure to please dedicated Phoebe Atwood Taylor fans and newcomer mystery buffs alike. When Asey Mayo happens upon the body of writer Carolyn Barton Boone in an antique railroad car, a punched ticket in her hand, things get interesting. But then the corpse disappears! A beautiful revised edition, with foreword by Paul Clarke, and 10 new recipes. Every writing project has one thing in common—they all start with a single sentence. Writers constantly struggle to answer this question: What is your story about? On June 6, 1944, 75,000 American men landed on the beaches of Normandy. The opening act in the liberation of Western Europe was the most ambitious military operation in history. This book provides an intimate look at soldiers’ day-to-day experience through period equipment, weapons, and personal belongings. This book provides a glimpse at the lives, weapons, and equipment of these soldiers through a collection of artifacts and exacting reproductions. The 27th installment in the popular Harpur&Iles series. The life of the average soldier at the onset of the American Revolution in words and photographs. The story of the brave Vermont brigade that helped win the Civil War. Who gets hurt when the bad guys cross paths? The 25th installment of the acclaimed Harpur&Iles series by mystery master Bill James. The 24th novel in the Harpur&Iles series follows DCI Harpur into an illicit narcotics ring. The first mystery in the popular police procedural series introduces the long-suffering detective Colin Harpur. A classic collection of ponderings about maritime living for all lovers of Maine. This is true crime for every country home bed table. The Criminal C. O. D.
A classic Phoebe Atwood Taylor mystery. A classic Margot Arnold Penny Spring and Sir Toby Glendower mystery. Another classic Asey Mayo Cape Cod mystery. A special commemorative edition of a classic text by one of the foremost experts on Arctic lands and peoples. A poignant story of one woman's determination to start a life anew in idyllic Nova Scotia, far away from her jetsetting-New Yorker roots. There's been no shortage of trouble on Cape Cod that March. A house party of men and women has been snowed inand cut off from the world outside. The host is murdered. Poisoning, the doctor says; probably arsenic. But almost everyone is found to have arsenic among his or her possessions. There's been another murder on the Cape, and the keen and salty Asey Mayo is on the trail again. A fascinating and comprehensive chronicle of four hundred years of maritime history along the Maine coast. From the home front in Vermont to the battlefields of Virginia. Coffin's exciting saga, written with the immediacy of a combat correspondent, dramatizes why and how a small, poor, remote Northern state responded so quickly and enthusiastically to President Lincoln's first call to arms in 1861. The Berkshire Reader is an extraordinary literary record inspired by one attractive corner of New England. "Every word of it I enjoyed, and I don't think that there is a single change to be made in it," wrote legendary editor Maxwell Perkins when he read the manuscript of Northern Nurse in 1941.